Two Bedroom two and a half Bath Townhouse with garage on Beach front, fully furnished and well stocked kitchen. Washer & Dryer. Heated swimming pool and a reserved parking space. 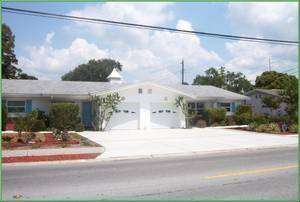 Findvacationrentals.com is the authoritative online source for Redington Shores Florida , offering thousands of in Redington Shores Florida available for booking directly from the manager. Interested in More Redington Shores, Florida? Check out nearby Anna Maria Island, Bradenton, Holmes Beach, Indian Shores, Madeira Beach , Sarasota , St Petersburg , Treasure Island .